Is it time to give that faded garage door a new look that lasts? Alliance Overhead Door in Austin gives homes a new look with faux wood insulated garage doors made of steel. There’s a reason homeowners are replacing their old doors and installing new insulated steel doors with a modern look. Many new modern doors use insulated steel which also gives the look of wood with much less maintenance. For residential homes with attached garages, these new modern faux wood insulated steel garage doors also help cut energy costs. When looking to replace an old door faux wood insulated garage doors are a great option with many benefits. 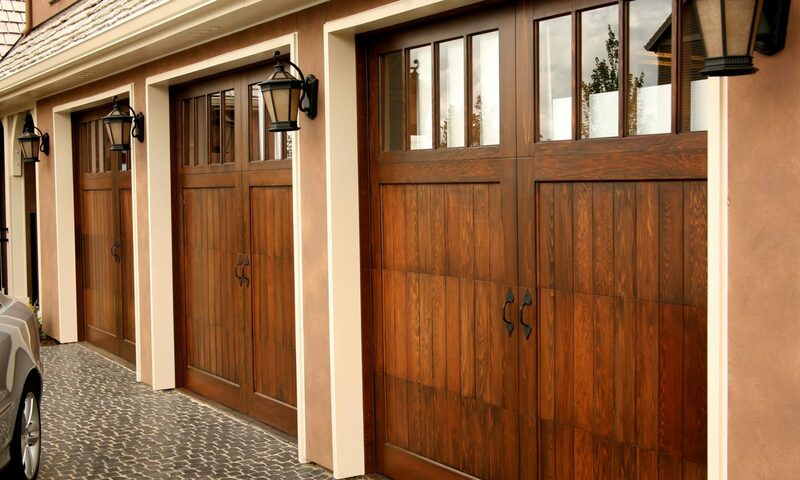 Faux wood garage doors come in many styles with the carriage house design being a current favorite. Many residential homeowners ask about modernly designed doors with a wood grain to showcase their houses beauty compared to wooden doors that over time fade and weather. No matter the look we help pick the best door for your home. One of the best things about these steel garage doors compared to regular wooden doors is customization. Personalizing color, hardware, windows and overall design is a major benefit. Many doors also have a composite over the steel that’s actually molded from real wood. Taking care of a faux wood door is much less of a task and depending on style less expensive than wood doors. Holding their look over time with no fading makes these doors the best value for maintaining curb appeal over the years with little effort. 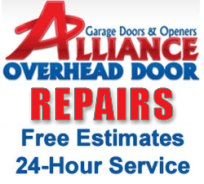 Alliance overhead door has replaced, installed thousands of garage doors in the Austin area. With great reviews and customer support, our company is a favorite with homeowners in Austin. If your home needs a boost of curb appeal and a new garage door is on your to-do list let us help. We will answer any questions and help give the best solution to replacing or installing your new faux wood insulated steel garage door.